All-trans retinoic acid (ATRA) has been regarded as a wonder drug for many dermatological complications; however, its application is limited due to the extreme irritation, and toxicity seen once it has sufficiently concentrated into the bloodstream from the skin. Thus, the present study was aimed to increase the entrapment of ATRA and minimize its transdermal permeation. ATRA incorporated within nanostructured lipid carriers (NLCs) were produced by a green and facile thin lipid-film based microwave-assisted rapid technique (MART). The optimization was carried out using the response surface methodology (RSM)-driven artificial neural network (ANN) coupled with genetic algorithm (GA). The liquid lipid and surfactants were seen to play a very crucial role culminating in the particle size (< 70 nm), zeta potential (< − 32 mV), and entrapment of ATRA (> 98%). ANN-GA-optimized NLCs required a minimal quantity of the surfactants, formed within 2 min and were stable for 1 year at different storage conditions. 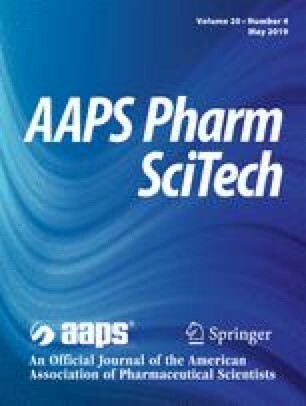 The optimized NLC-loaded creams showed a skin retention (ex vivo) to an extent of 87.42% with no detectable drug in the receptor fluid (24 h) in comparison to the marketed cream which released 47.32% (12 h) of ATRA. The results were in good correlation with the in vivo skin deposition studies. The NLCs were biocompatible and non-skin irritant based on the primary irritation index. In conclusion, the NLCs were seen to have a very high potential in overcoming the drawbacks of ATRA for dermal delivery and could be produced conveniently by the MART. The online version of this article ( https://doi.org/10.1208/s12249-019-1307-1) contains supplementary material, which is available to authorized users. The authors are grateful to the Council of Scientific and Industrial Research (CSIR), New Delhi, for providing financial assistance in the form of Senior Research Fellowship (SRF) to Vivek M. Ghate [File No. 8/602(0003)/18 EMR-1]. The authors are also thankful to Mangalore University, Mangalagangotri, for their support in analyzing the samples.